Fly fishing is and will be a very popular sport and past time. When you are just beginning you are watching your purchase as to not break the bank with your new found hobby. Once you graduate from small fly fishing and feel more confident to venture off to larger fish, purchasing a stronger reel is very important. With the Redington Behemoth reel, you are not necessarily breaking the bank and also not going the cheap route. With its carbon fiber drag, large arbor design and smooth line make its functionality smooth. 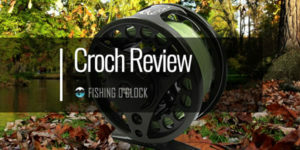 The look of this reel is sleek and cool; coming in a variety of four colors: black, O.D. green, desert, and gunmetal. The die-cast construction on this Redington Behemoth reel serves out nice aesthetics. This reel still manages to provide high performance and reliability. 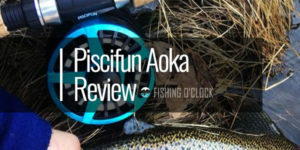 The market of fly fishing reels seem to be endless, the resilient Redington Behemoth reel is the perfect purchase for the novice or the experienced angler. The reel was originally purchased with the 5-weight trout in mind; however, this fly fishing reel has caught larger fish like a bonefish and the yellowfin. With using the adjustable drag system, fighting with larger fish comes across a lot easier than using a reel with a lesser, more limited system. The Redington Behemoth reel ensures an extremely heavy duty drag system. 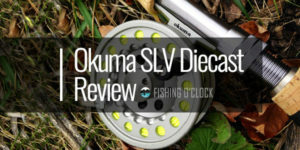 With the industrial duty drag on this reel, you are able to fish with hopes of reeling in ideal catches like the larger salmon and Northern pike. The drag system has to stop power and a low start-up inertia. This allows for the big game anglers to pull in fish of varied sizes and able to successfully wrangle those large catches. Being heavier built than other reels in its price range; it provides an even drag so you do not experience hardly any rough stops. 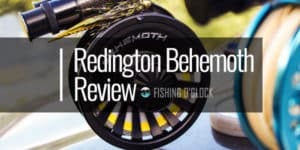 For anglers that have larger catches in mind when fly fishing, the Redington Behemoth reel gives the power to pull in catches almost 16 or more pounds due to the spool style in the drag system. The rod and reel offer an ideal combination to catch the 5-weight trout rod and even those large brown fish that put up a fight. The drag was easy to adjust and still was sturdy to maintain the larger fish. With all of this strength, the Redington still manages to have a sleek look with their state of the art fly reel design. The interlocking system in this large arbor design gives a fast retrieve and it also allows a reduced line memory. The line on the Redington does come on and off very smooth. This is noticed when the line is under tension from a larger catch. The V-cut design in the spool gives it a more diverse use. This deep v-spool prevents unnecessary twisting and increases the backing capacity of the reel. For the trout anglers, the smooth line is very much appreciated in snagging those harder catches such as the steelhead and rainbow trout. For the saltwater fishermen, being able to get more cranks with the Redington Behemoth reel saves so much energy and struggle. The bigger coils also give easier casting and can survive the tough fights that would place tension on the line, which results in the chance of catching some great fish. The larger arbor design gives ample room for additional backing. The additional linebacking allows you to increase the size of your catch. The quicker it is to reel in your catch is also notable with this Redington when handling that 25 pound King salmon. 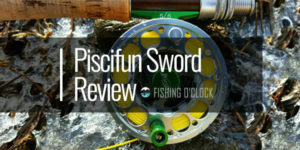 The performance when it comes to fighting those large saltwater fish, it is one of the best saltwater fly reels worth the purchase. Catching the larger fish that seems to be a quick running fish is achievable with the additional backing provided by this Redington Behemoth reel. The smooth reel along with the adjustable drag made it the perfect choice for reeling in hard to lose fish. With such a powerful drag system, taking this into saltwater is a no-brainer. The downfall is that since it is unsealed, it’s susceptible to getting debris, dirt, sand, etc. in its system. It was a little surprising to see the drag was just capped and left unsealed but with all the other perks of the system, it does not have to be a deal breaker. After every trip, especially when saltwater fishing, the reel can be easily rinsed off under fresh water. This will assist in keeping the reel operating to its highest performance. The reel should set out to dry completely which will assist in keeping the reel from corrosion and rust. With consistent maintenance, the Redington Behemoth reel can continue to be used for larger catches for seasons to come. The die-cast construction could be seen as an initial negative at first if this is the first Redington product used. While the CNC machined reels have become quite popular, the die-cast should not be overlooked. Redington selected the right alloy to be used in their die-cast process that will be able to hold the tension and take pressure from big fish. This leaves the reel to be extremely durable in spite of not being a CNC machined product. Overall, the performance of this Redington Behemoth reel exceeds the price paid compared to other brands. 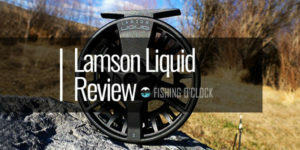 From the strong drag system to large arbor design and even the comfortable handles, this reel more than beyond served its purpose to reel in the bigger catches of the day. Considering that this also comes with a lifetime warranty, know that if something does go wrong, you’re covered. Anglers have no regrets regarding this Redington product and have used for this reel for a few seasons now.